Happy Saint George's Day to all my English friends. For those unaware, April 23rd (the day he was reported to have died in 303 AD) is the day dedicated to England's patron saint - who interestingly enough was not even English (by today's geography, he was Turkish). King Edward III, however, admired the saint's bravery through the stories, which he heard through English Crusaders, which led to his patron saint status, such as the slaying of the dragon (guess that rules him out as a potential love interest for Khaleesi). The story in its simplest form is this: The princess is selected to be the sacrifice to the dragon (done through a lottery). Enter Saint George, who with the sign of the cross slays the dragon and rescues the princess, and convinces the citizens to convert to Christianity. All in a days work. In England, some celebrate the day with feasts, drinking, or a public celebration. On Cardigans & Cravats, we level up the geekery and look at some of my favorite Georges (both real and fictional), who happen to be a lot more English than one Mr. Saint George. Think of it as the top Georges I wish I could have tea with today. George Harrison, musician, singer, songwriter, and dreamboat. He has always been my favorite Beatle. I even named my car after him (Harrison). Ladies and Gents, always pay attention to the shy ones of the group - especially those who have a sense of humor to boot. A man who could write the beautiful lyrics to "Something" deserves to be a frontrunner for your attention. True, George Orwell was technically born with the name Eric Arthur Blair, but he is known synonymously by his pen name. An English writer, journalist, literary editor, literary critic, and poet who started out working on propaganda for the BBC during World War II. His two most famous works, 1984 and Animal Farm, are not only constantly referenced or quoted, but also parodied. He also documented his firsthand experiences of the Spanish Civil War in Homage to Catalonia. His vernacular is part of our culture, including his view points. Remember that the next time you mention Big Brother. George Emerson was the creation of E. M. Forster in 1908 novel A Room with a View (the images below and clip below are from the 1985 adaptation starring Helena Bonham Carter as Lucy and Julian Sands as George Emerson). George, in the beginning at least, can be brooding and difficult. He says exactly what he thinks and feels without worrying about social correctness. His belief in Fate makes a girl's heart swoon, which is aided by the fact that Lucy Honeychurch inspires passion and breathes life into a rather discontented George. Helen George is an English actress and singer (once a backing singer for Elton John) who studied musical theater at the Royal Academy of Music. I admit I have only seen George in two shows, Hotel Babylon and Call the Midwife. Her portrayal in the latter is what caught my attention. Nurse Beatrix "Trixie" Franklin's arc on Call the Midwife is one of my favorites. Trixie is more than savvy and stylish: she struggles with her own problems, has the ability to stay clear headed to bring babies into the world, and has a wonderfully large heart. George plays her flawlessly and regardless of the highs or lows, she makes you want to be friends with Trixie Franklin. I look forward to more from Helen George. Like her character Trixie, I think she is fabulous. George Weasley, twin to Fred, brother to Bill, Charlie, Percy, Ron, and Ginny. Son of Arthur and Molly Weasley. The ginger family we all long to know and be part of within the world of Harry Potter by J.K. Rowling. George, along with Fred, was born with a sense of humor and creativity, making them both the perfect pranksters and inventors. Loved by fellow Gryffindors, members of Dumbledore's Army and Order of the Phoenix, entrepreneur (Weasleys' Wizard Wheezes at 93 Diagon Alley), and a fighter against evil. He knows what it is to sacrifice for the greater good, not just his eye, but the person he loves the most in the world (if I talk about it I still tear up). For George, jokes and inventions are the tools to enhance the ups or to get you through the downs. Who wouldn't want to have tea with such a person? Even if he pranks your cup, it would be memorable. 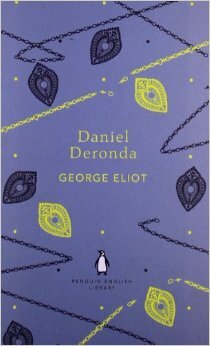 Yes, George Eliot is another one on this list who was not born with the name George. Mary Ann Evans, if you remember from Why I am Thankful for Period Piece Adaptations, Example Three: Middlemarch (1994) chose to write under a male pen name for various reasons: to distance herself from the female author of romantic novels stereotype, to separate her novel work from her established work as an editor and a critic, and potentially to shield her private affair with the married George Henry Lewes. 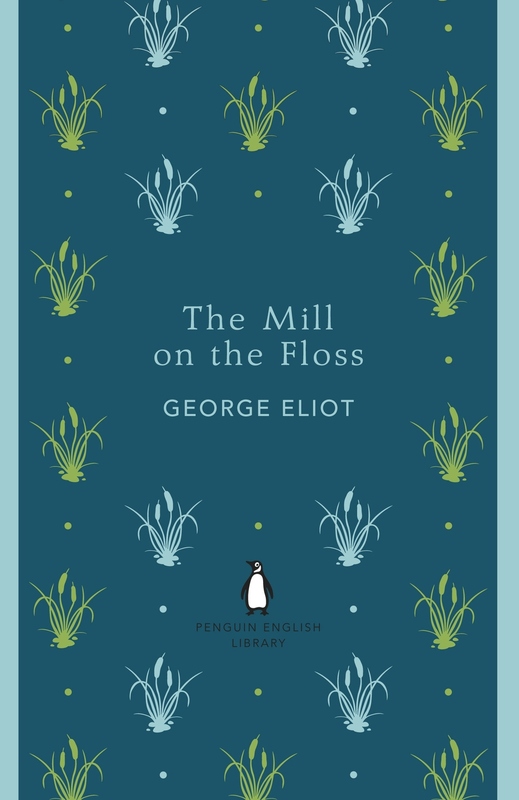 Her works includes Adam Bede, The Mill on the Floss, Silas Marner, Middlemarch and Daniel Deronda. She tackled social and realistic themes, along with a dash here and there of romance. Her characters are strong, well-rounded and interesting. Thus, making George Eliot one of my top writers to be adapted to mini-series format.